Cars Hire UK - Cheapest Car Rental Prices ! Your deal is just one call away. Call now and our expert will make deal for you which suits you the best from a perfect supplier with a perfect car. Car rental in UK is a great option to visit all the popular places such as museums, theme parks, beaches, national parks, monuments, and sporting venues. We have a wide network of car suppliers in UK such as Easirent, Europcar, Sixt and Green Motion and offer diverse pick-up and drop-off locations. These suppliers are known to provide money-valued service: one not only gets free of cost inclusions like CDW and THW with the offered deal, but also gets access to perks like oneway rental. They also provide add-ons like GPS and baby seats which can be hired by paying some extra money. United Kingdom possesses vibrant modern culture, enthralling history and a mix of indigenous and immigrant culture. 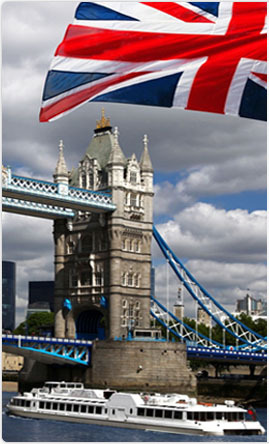 UK is a popular destination for numerous travelers throughout the world. From John O’Groats and Duncansby Head in the north to Lands’ ending in the south, there is a lot to explore in the UK including 25 UNESCO World Heritage Sites. Visitors to the UK can go through number of historic places such as Westminster Abbey, Stonehenge, Tower of London, Hadrian’s Wall, St. Paul’s Cathedral and numerous prehistorical highlights. UK’s southwest is eclipsed by wide area of open national park and a jagged seashore, whereas its extensive and vibrant capital city London rules the southeast. Hillwalkers can go for a number of serious hikings in the Scottish Highlands. Real British wilds stay stark, occasionally spectacular and much unreachable, mostly in the faraway north of Scotland. Historical Edinburgh is an attractive city to visit, whereas Glasgow packed with nightlife choices. Belfast is refreshing as a tourist spot and landscape of Northern Ireland is greenish and rolling. Travelers to Wales can visit the metropolitan sights of Cardiff. Travelers can hire a car in UK from us and travel with comfort.